Bulgaria is situated in South-Eastern Europe and occupies an area of 111 000 sq.km in the North-Eastern part of the Balkan Peninsula. Its length is 520 km and its width is 330 km. The overall length of its borders is 2245 km. 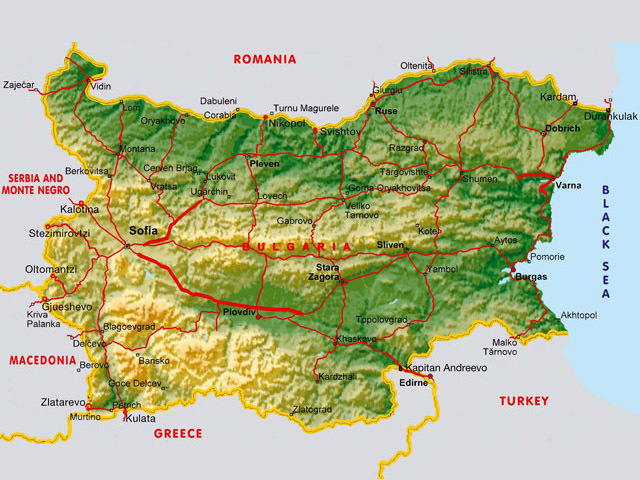 Bulgaria borders to the north on Rumania (the frontier line runs along the Danube river and continues on land to the north-east), to the south - on Greece and Turkey, to the west - on Serbia and Macedonia (former Yugoslavia) and to the east - on the Black Sea. The average altitude is 470 m.
Population: about 8 million the average density of the population is 76, 2 people per a square kilometer. Beside them in the country live about 800 000 Bulgarian Turks, 300 000 Gypsies and small number of Jews, Armenians, Russians and Greeks. 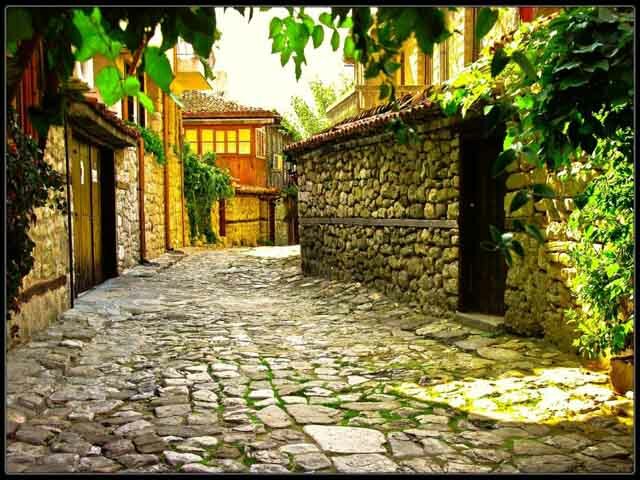 Relief: The relief of Bulgaria is extremely varied. Vast plains and valleys, precipitous ravines and gorges, deep glens nestling among hills, lowlands and high mountains alternate together on its comparatively small territory. The average altitude above sea level is 470 m. The Rila Mountains are the highest in Bulgaria as well as in the whole Balkan Peninsula with Mt. Moussala - 2925 m.